Legendary Entertainment and AfterShock! 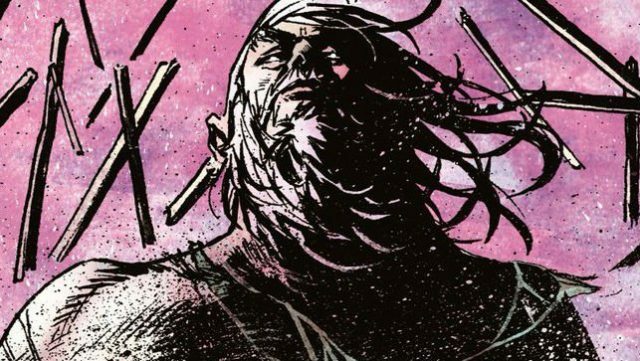 Media have optioned Image Comics’ fantasy series God Country. Nerdist reports that the film adaptation will be penned by the series’ writer, Donny Cates, who created the book with artist Geoff Shaw. In addition to the creator-owned God Country, Cates has become one of the most noteworthy writers for Marvel at the moment with acclaimed runs on Doctor Strange and Venom. He and Shaw recently collaborated on Thanos Wins, and the duo will also be relaunching the Guardians of the Galaxy ongoing series in 2019. According to The Hollywood Reporter, the film is being overseen by Legendary’s Jon Silk and Jay Ashenfelter along with AfterShock’s Lee and Jon Kramer. Are you a fan of the God Country series? What are your thoughts on the potential of a film adaptation? Let us know what you think in the comment section below!